We know that your life doesn’t stop when the school holidays start. 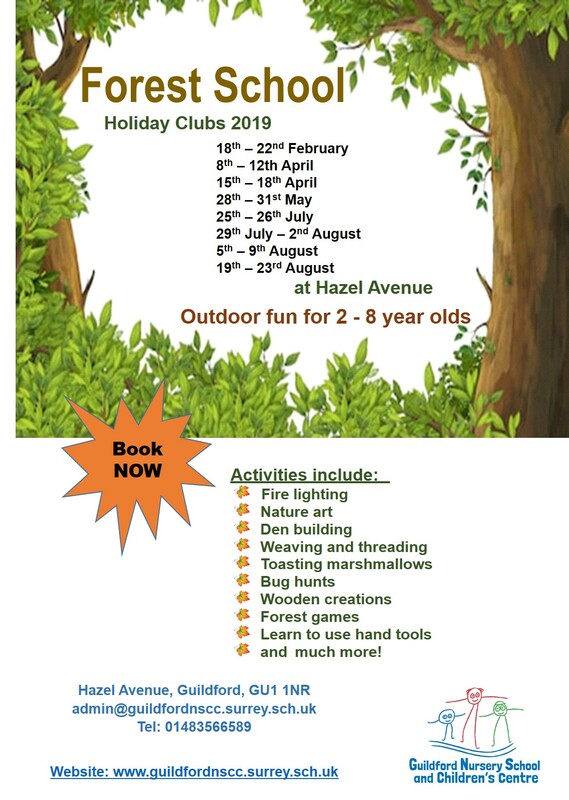 So we offer holiday clubs, giving you the chance to get on with working or caring, and giving your child a safe environment where they can spend time with their friends, have fun inside and outdoors and come home tired and happy. A full day session will include a morning and afternoon snack, a cooked lunch and a cooked tea. A morning session will include a snack and cooked lunch. An afternoon session will include a snack and a cooked tea. 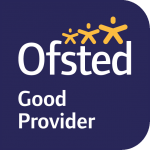 Guildford Nursery School children who meet pupil premium criteria are eligible to receive one full-day holiday club session per year free of charge. A 10% discount will be applied (excluding meal cost) when 3 or more full day sessions are booked within any one week. A 10% discount (excluding meal cost) is offered for siblings of current nursery children and ex-pupils of Guildford Nursery School. Please note: Fees must be paid in full, in advance. A £2 admin fee will be charged for any ‘ad hoc’ bookings and/or changes, during the session dates. Cancellation fees will apply as per our Terms and Conditions. These are available on our website www.guildfordnscc.surrey.sch.uk or please ask at reception for a hard copy. Please tick if your child has any dietary or food allergy requirements and provide full details below.